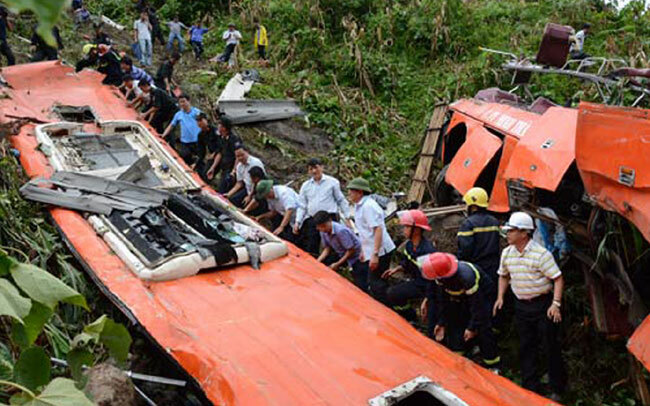 HA NOI (VNS) — Prime Minister Nguyen Tan Dung has called for details of a traffic accident that killed 12 people on a sleeper bus in the northern province of Lao Cai on Monday. The bus, with 53 people on board, including the driver, plunged into a 200-metre ravine at about 7pm in Tong Sanh Village, Bat Xat District. 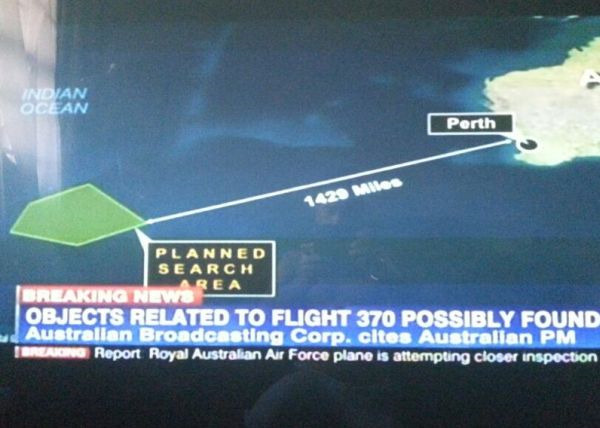 Rescuers said 11 of the passengers were killed instantly and another died on the way to hospital. Nearly all of the remaining passengers were injured and taken to hospital. According to a Vietnam News Agency reporter in Lao Cai, a young girl named Do Thi Lan from the northern province of Bac Ninh is still missing after the accident. Her friend, who was on the bus with her, was slightly injured and is receiving treatment at the Lao Cai General Hospital. Lan's family rushed to Lao Cai to look for their daughter, but without success. The accident is reported to have occurred when the driver of the bus, owned by Sao Viet (Viet Star) Company, lost control of the vehicle on a route from the tourist town of Sa Pa to Lao Cai City in Lao Cai Province. Deputy Prime Minister Nguyen Xuan Phuc, who is also head of the National Committee for Traffic Safety, urged the Minister of Transport, Dinh La Thang, and leaders of the Ministry of Health to work with local authorities to deal with the tragedy. Minister Thang yesterday visited the victims in Lao Cai General Hospital. At a press conference, he called for the operational licence of the Minh Thanh Phat Transport Company (the mother company of the Sao Viet Company) to be revoked and ordered a full investigation. Thang said the bus driver appeared to have broken the law as he was not allowed to take the vehicle further than Lao Cai City. However, the driver is reported to have still taken passengers to Sa Pa Town and had the accident on the way back. Thang urged "relevant authorities to strictly deal with transport companies with loose management that let sleeper buses travel on sloping routes or routes where they are not allowed." He also requested Lao Cai Province to construct the road connecting the Noi Bai-Lao Cai Highway with Sa Pa to minimise the risks of accidents. Doan Van Huong, chairman of the Lao Cai People's Committee, said the province mobilised the police, military soldiers and local staff to the scene of the accident as soon as the news was heard. The provincial Red Cross Association called for students to donate blood for injured victims. A deputy minister of Health and a group of doctors from Ha Noi's Viet Duc and Bach Mai hospitals rushed to Lao Cai to support local medical staff. Meanwhile, a coach crashed into a car yesterday on National Highway 5 in Di Su Commune, My Hao District in the northern province of Hung Yen, leaving three people dead. The victims were Lieutenant-General Nguyen Xuan Tu, deputy director of the public security ministry's General Department of Force Build-Up, Nguyen Van Do, a retired army official, and Nguyen Van Tich, the car's driver. Another retired army official was injured and is being treated at Ha Noi's Army Hospital 108. The officials were on a working trip to the northern port city of Hai Phong when their car encountered the coach, alleged to have been speeding. Police said the driver appeared to lose control and swerve into oncoming traffic. During the four days between August 30 and September 2 (National Day), there were 186 traffic accidents, resulting in 114 deaths and 145 injuries. This included 184 road accidents causing 111 deaths and two railway accidents causing three deaths, according to the National Traffic Safety Committee.